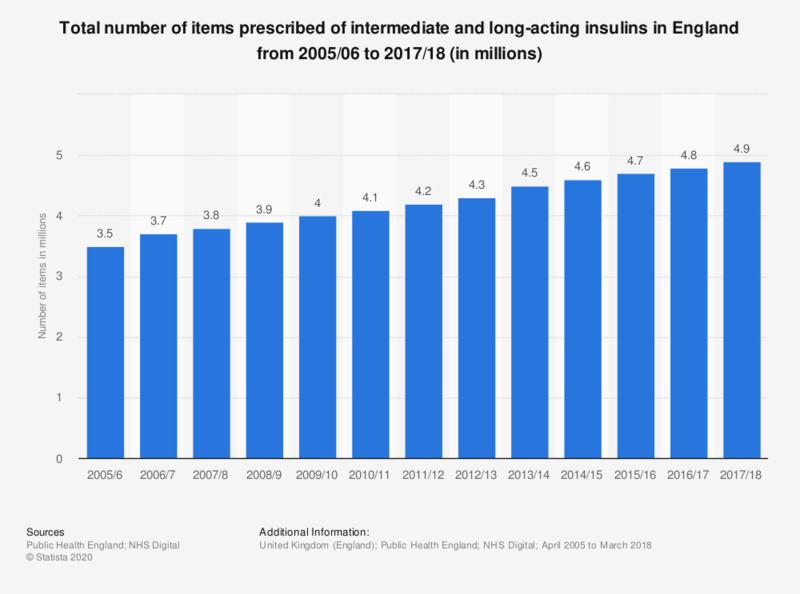 This statistic displays the total number of items prescribed of intermediate and long-acting insulins in England from 2005/06 to 2017/18. In 2017/18, the total number of items prescribed of intermediate and long-acting insulins was 4.9 million, compared to four million items in 2009/10. Which therapy and/or medical devices do you treat your diabetes with? Can you tell the difference between the two types of diabetes?